Delivery from £10.41 to United Kingdom in 6 - 10 working days. 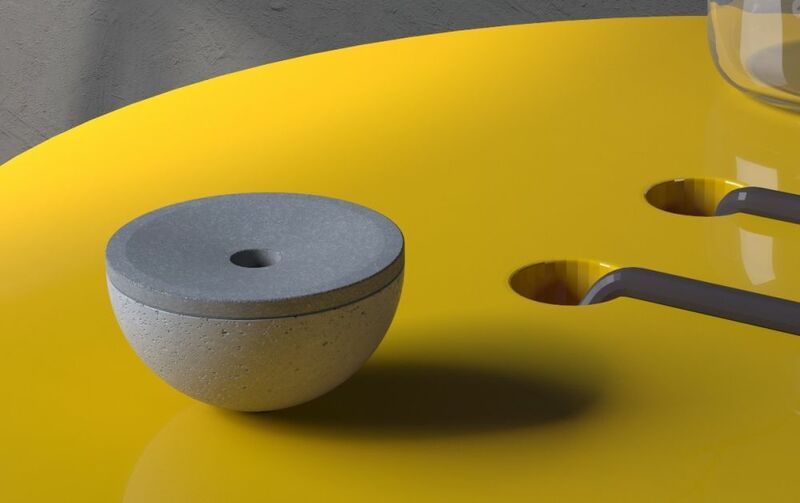 Concrete ash tray, an indoor/outdoor ash tray design by Valentino Marengo for 2017 Urbi et Orbi collection. dimensions D 15cm, H:8,5cm. Consists of 2 parts, the bowl in light grey and the top lid in dark grey. ULTIMA is a handmade product by cast concrete. The production becomes at our laboratory in Athens by Greek artisans. For the casting we use thermoplastic molds which ensures the stability of the product’s dimensions and thickness. Concrete is an extremely durable material, hence can be widely used in many applications. The raw material that we use at URBI ET ORBI is internationally acknowledged and environmentally as well as human-friendly. Such an example is the special mix of GFRC which is the most advanced new proposal of the industry. This is a sophisticated unique mixture of cement, additives, and conditioners aggregates, reinforced with fiber glass which ensures the highest quality.